So, it is a little weird to have your past life turned into a museum. This is a picture of me in 1991 proudly serving my country. I am standing in the door of VAQ 136’s AT (Avionics Tech) shop on-board the USS Midway. 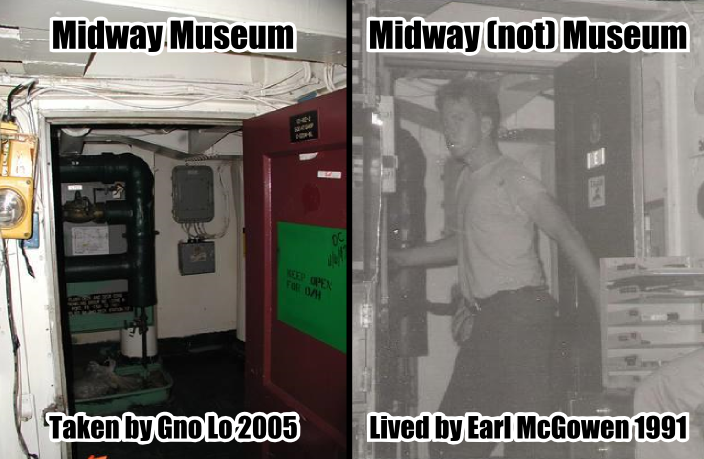 The Midway has now turned into a museum and is based in San Diego. I have yet to visit. Life can move very fast, and if you don’t take the time you will miss. Looking at these two photos makes me think of everything that has happened over my life. It also makes me think of the “what ifs”.